We just got back from a very enjoyable trip, visiting family in Newport Beach and San Diego! Rich and I really loved consuming our family’s cooking, but it’s time to get back to healthy, but tasty eating! I found his delicious summer squash recipe in Against All Grain by Danielle Walker, Victory Belt Publishing, 2014. 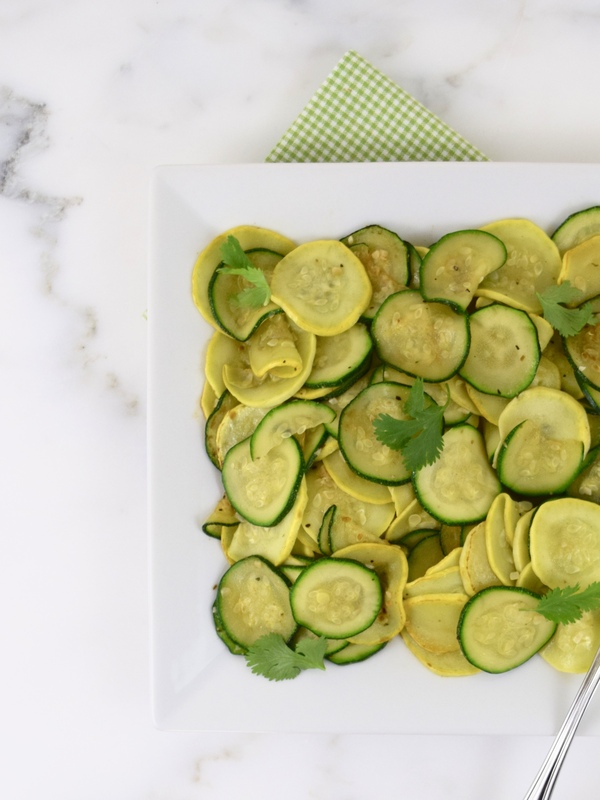 It’s made with summertime favorites, zucchini and yellow squash. The preparation is made easy by using the mandolin to slice the vegetables. 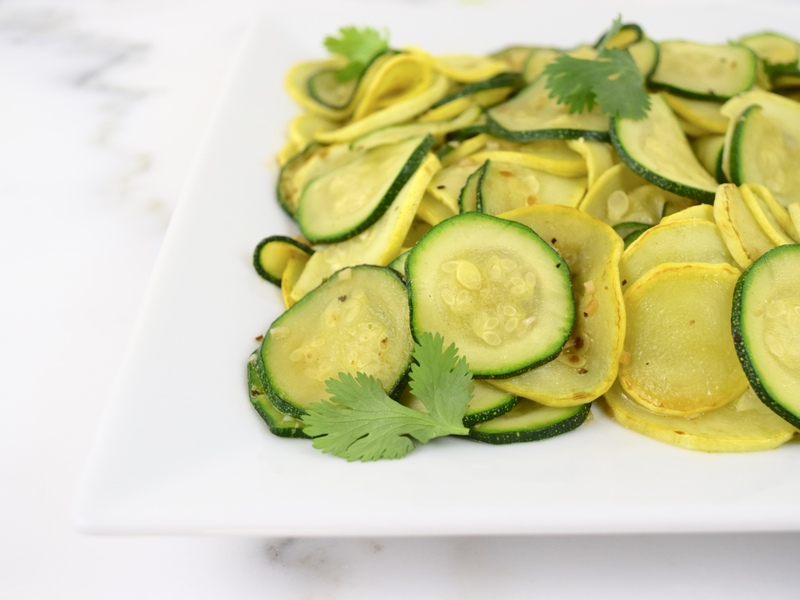 Then the squash is sautéed with healthy olive oil and seasoned with garlic and cumin! It can’t get any simpler or healthier than that! Using a large nonstick frying pan, heat 1 tablespoon olive oil over medium heat. Sauté garlic, until slightly golden. 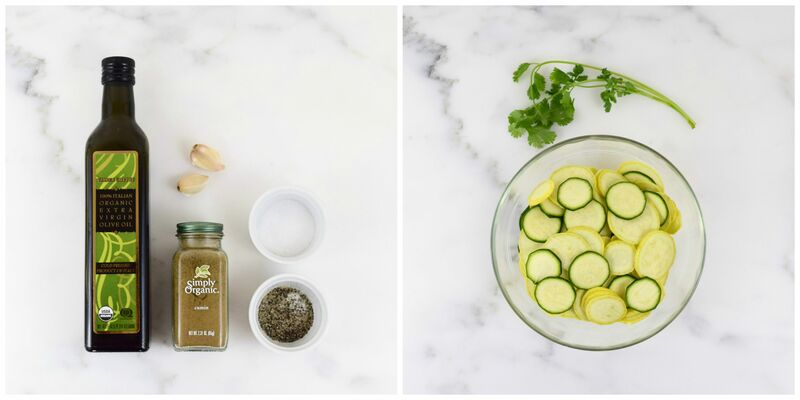 Add the squash. Stir in ½ teaspoon cumin. Season with salt and pepper to taste. Cook for about 5 minutes, stirring occasionally. Transfer to a dish. Repeat, using the remaining ingredients. Return first batch of vegetable back to pan. Cook for another 2 minutes. Combine ingredients well and transfer to serving dish. 6 servings.